Something funny happened earlier this week, so I’ll keep this post short and sweet. 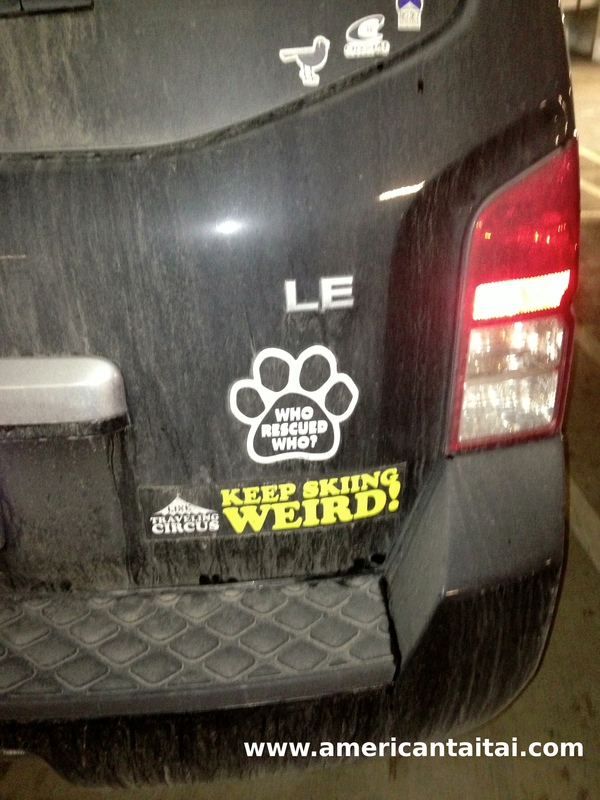 Guess who was parked in an adjacent spot as DH and I pulled into our neighborhood grocery store? Now I’ll admit I wasn’t paying much attention at first since I was comfortably chilling (ok, ok, I was dozing) in the passenger seat, but DH nudged me awake as he pulled into our parking spot. DH (excitedly): Hey, you’ll never guess… Check out who’s here! Me (sleepy, now annoyed): Hm…? Mmm… What? DH (pointing to our right): Look, it’s HIM! We’re parked right next to him! Me (awake now and understanding): Oh no way! My nemesis! We probably live in the same neighborhood… We could be almost-neighbors! We had managed to slide right next to the glorified electric golf cart that had swiftly cut me off twice almost a year ago. The driver, whom I dubbed “Mr. Eco” because that’s what I *thought* his vanity plates read, was nowhere to be seen. His car, on the other hand, was quite conspicuous. And I stand corrected. Apparently the vanity plates did not read “Mr. Eco,” but “ECO MAN.” Even better. Eco Man wasn’t nearby, so I didn’t see any harm in taking the opportunity to snap a few photos of his personalized electric-golf-cart-er-I-mean-car. 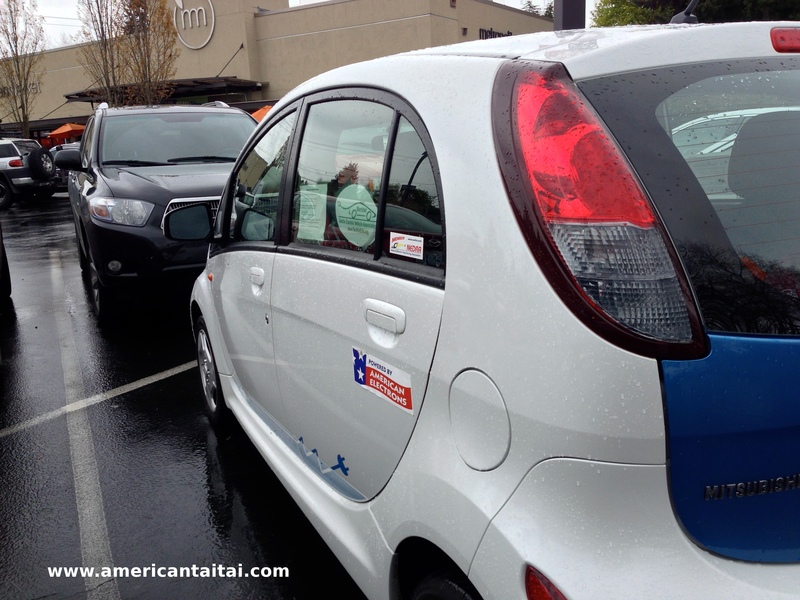 It was tiny, white-and-blue, and aggressively bespoke in proselytizing the virtues of the electric car. 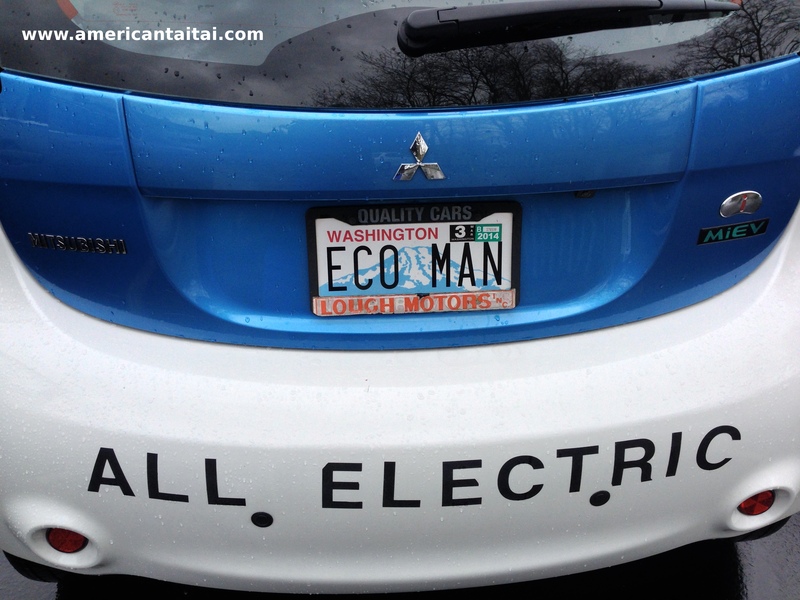 I could tell Eco Man took a lot of pride in his customized wheels, especially as he made it a specific point to let the world know that his vehicle was “ELECTRIC” on at least 3 sides of his car. And I didn’t think he’d mind me photographing his car because someone who goes to the trouble of customizing his vehicle to this degree and getting “ECO MAN” vanity plates obviously wants attention. Of course! 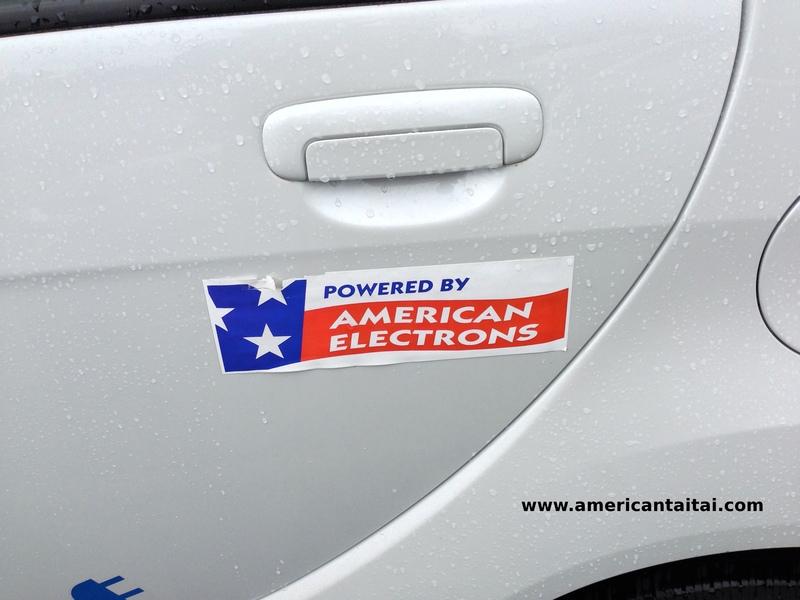 Eco Man is a patriotic environmentalist who drives a 100% electric car that uses 100% American electrons. 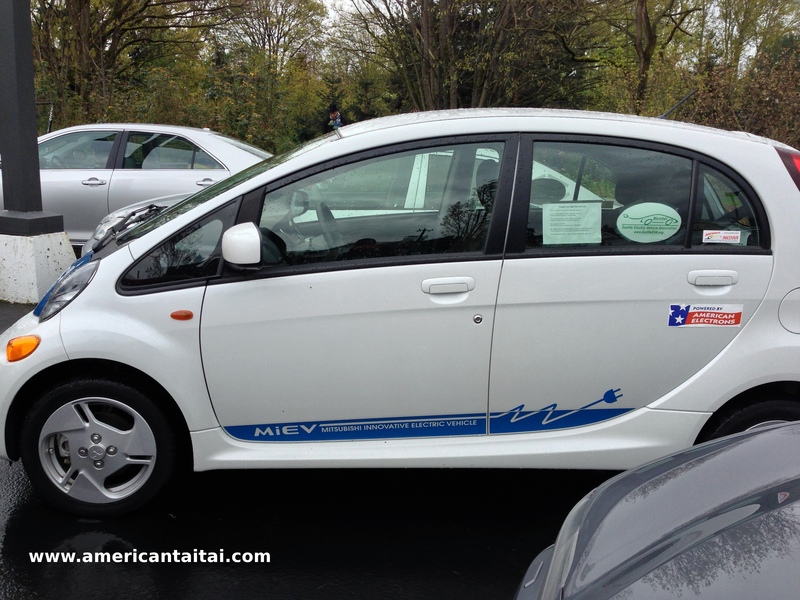 Did I mention this is a Mitsubishi MiEV? No matter, I had just experienced a typical Seattle moment. After a hearty chuckle, I understood why Eco Man and I were both trying to take the same route last year. He was probably in a rush to get home, just like me. 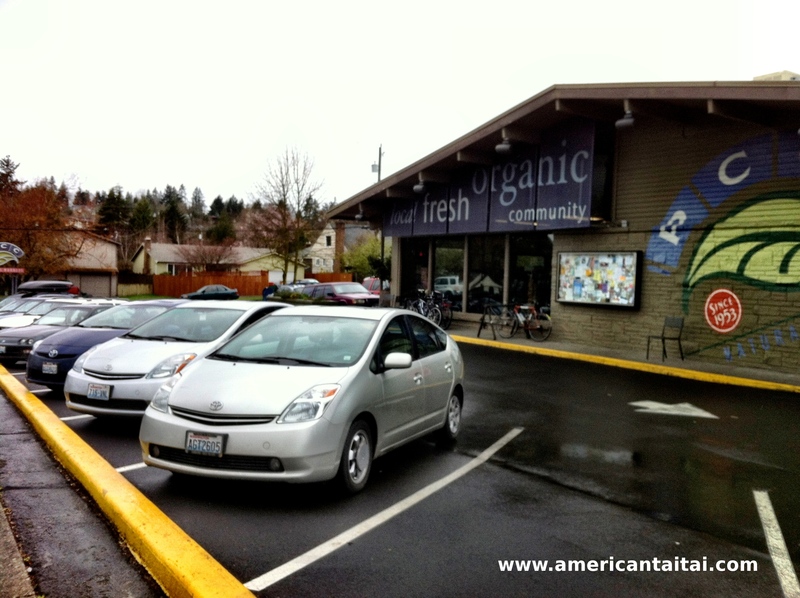 We’re almost-neighbors, or at least we shop in the same neighborhood market. Don’t get me wrong. I don’t have anything against electric cars. I think they’re great. But I am a little suspicious of people who are a bit over-zealous with bumper stickers, and doubly so if they are poor drivers or act like jerks on the road. 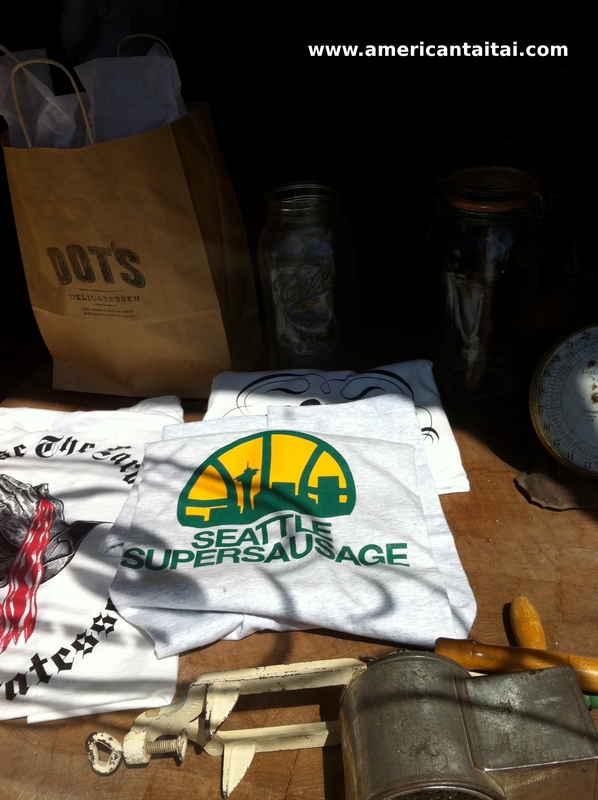 Bring back our Seattle SuperSausage… I mean Sonics! 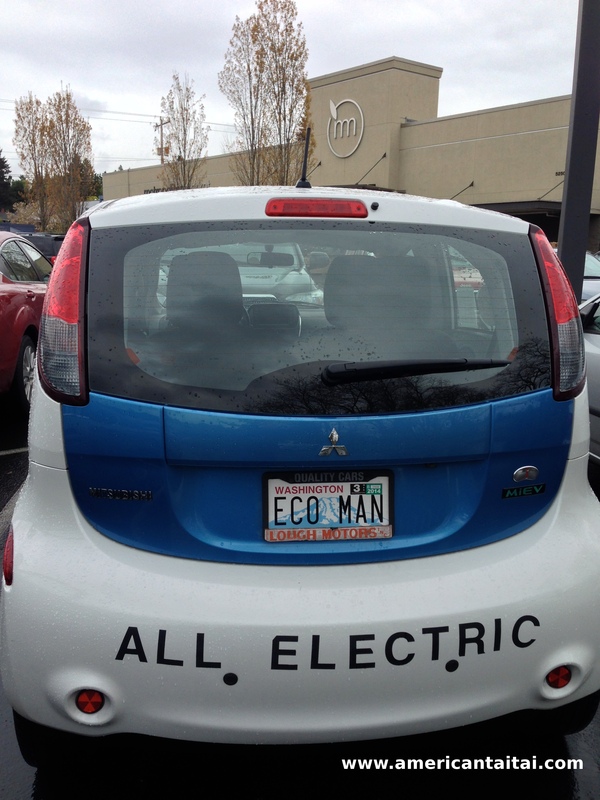 Unfortunately I didn’t manage to spy Eco Man in person on the way out from the grocery store, as the parking spot next to us was empty by the time we finished our shopping and returned to our car. But I’m sure Eco Man and I will meet again on the road sometime soon. After all, we’re probably almost-neighbors. So until we meet again, safe driving to you. 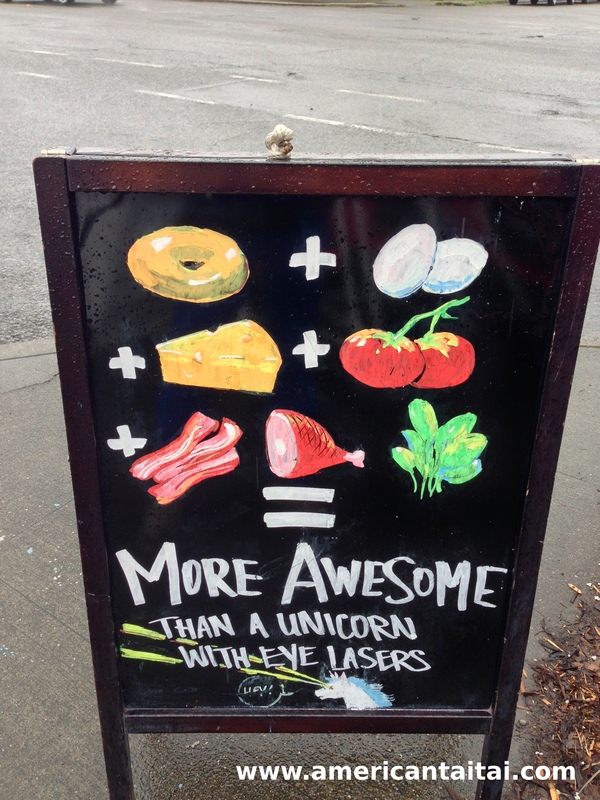 May your Friday be More Awesome Than a Unicorn with Eye Lasers! 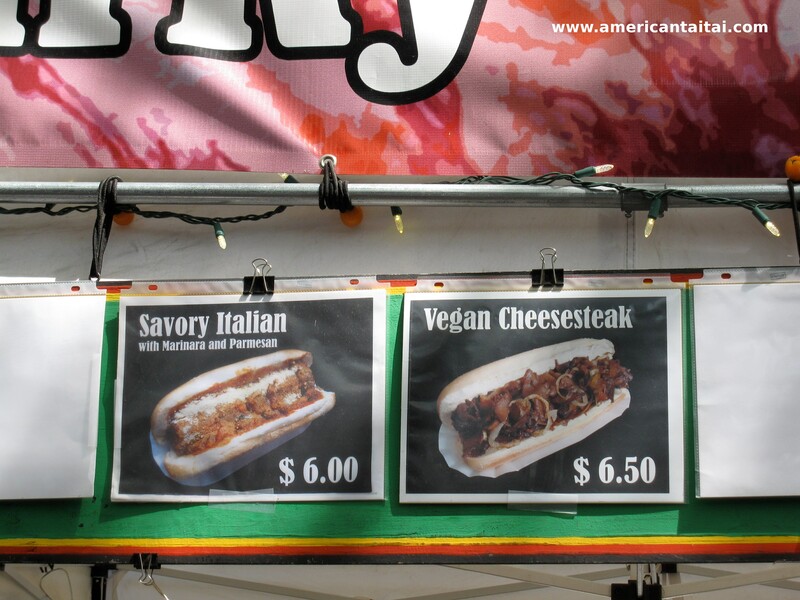 “Vegan Tofurky Cheesesteak, anyone?” – Me! I’d like one! My God I miss Seattle sometimes. Great, funny post! Your sightings give a pitch-perfect feeling for the quirkiness of Seattle. Yay for almost-neighbors! 🙂 I love Phinney Ridge, it’s a great neighborhood. Despite my tone in this piece, I actually love living in Seattle. It’s such a fun(ny) place. Just this morning I was stopped at a red light behind a car with custom WA state plates that proudly read “CANADA.” You gotta love it! Thanks for stopping by! I know this ECO MAN ! He has been PUSHING these electric things for 36 years. Was President of the local club for 35 years. He says it is NO GOLF CART ! Will do over 80 when his wife isn’t in the car. It’s true he is almost always trying to show the other drivers around him that it is no golf cart, even though it is the cheapest EV on the market. Says you can buy a good 2 year old for less than $7000. I spoke to him recently, and he apologizes for “cutting” any one off recently.